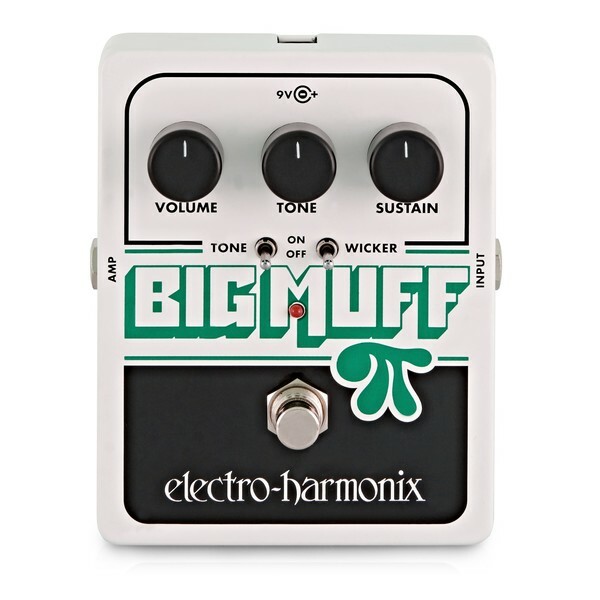 The Electro Harmonix Big Muff Pi with Tone Wicker offers the legendary Big Muff Pi?s creamy sustain and powerful distortion with the ability to create new tonal possibilities with switches for tone and wicker. 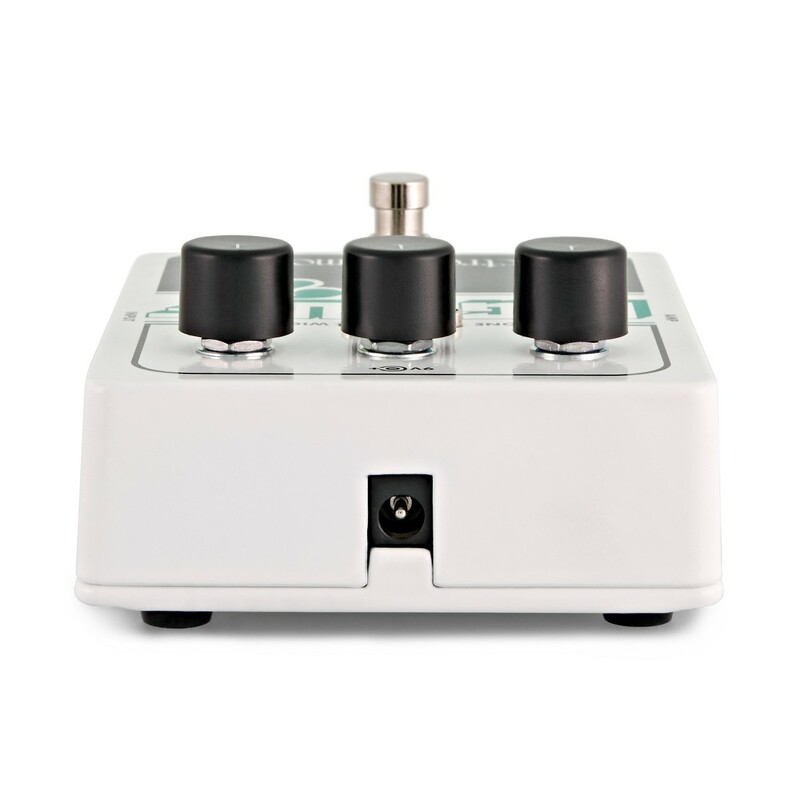 This powerful distortion pedal can create raspy, sustaining distortion or unabated tonal slam thanks to the two switches. 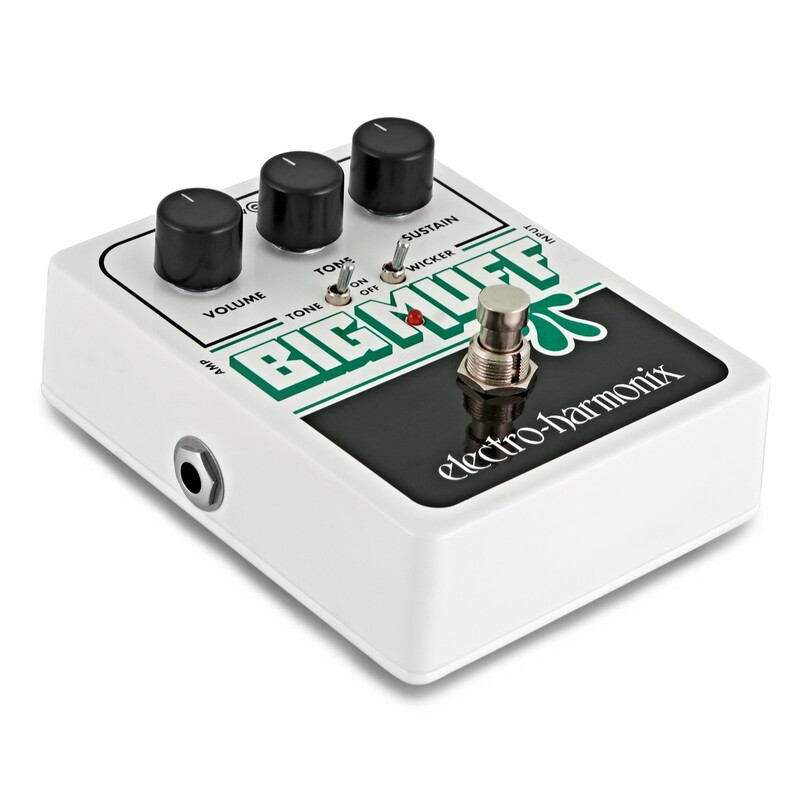 Designed with a sturdy, robust housing, the Big Muff pedal is ideal for players that want more out of a Big Muff pedal. The Big Muff Pi has been one of the defining tones in rock guitar, offering rich, creamy sustains that sing, and crushing distortion. 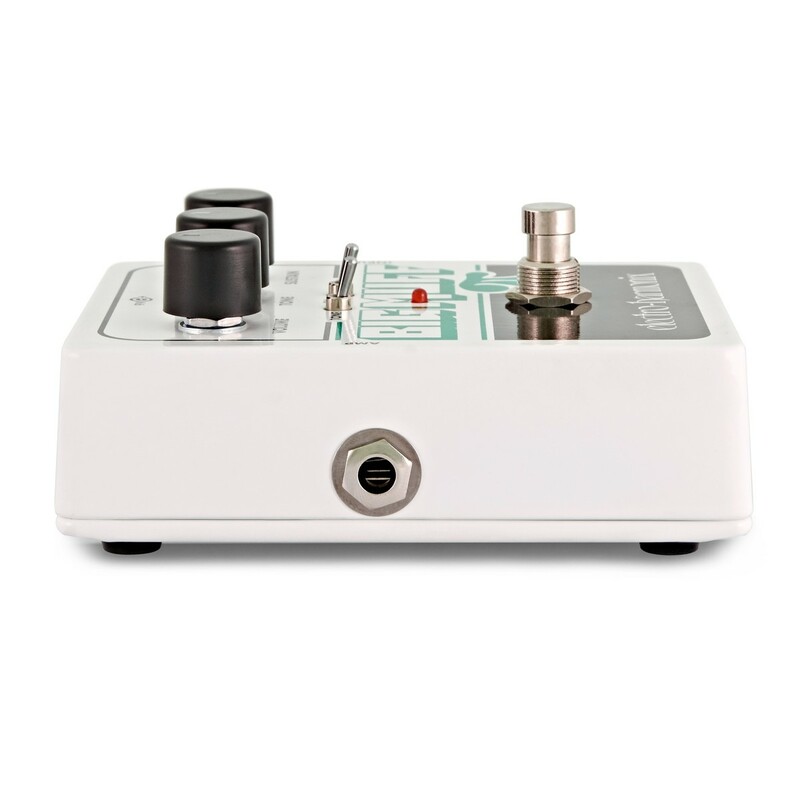 For this pedal, the Big Muff Pi has been built to add new tone-shaping capabilities with the addition of a tone and wicker switch. Create raspy, sustaining distortion with a top-end bite by opening up the three high frequency filters, or flip on the tone switch to bypass the tone control and create unabated tonal slam. Switch off the wicker and turn on the tone and the pedal delivers that recognisable Big Muff Pi sound. The Tone Switch Completely Removes the Tone Control, Creating a Devastating Broadband, Big Muff Slam.